We are so pleased Laura is returning to Anchorage (she was last here in 2006)! In addition, we'll also have some "guest students." Beadventures is combining its two activities--travel and Anchorage bead classes--into one. Other students that are cruising to Alaska on a Beadventure plus some visiting Anchorage will be joining us for Laura's workshops, making the gathering even more fun! This also means space will be limited--so sign-up early if you want to guarantee you'll be able to join us. About Laura's Workshops . . . Please note all classes are full. Please send an email if you want to be put on a wait list should there be a cancellation. Fuchsia Lariat Necklace -- Class is full! This elegant lariat necklace features three stunning, highly sculptural fuchsia flowers. Combination stitching and unique assembly techniques result in these life-like, beaded wonders-of-nature. Techniques used include peyote stitch, herringbone stitch, right angle weave and chenille stitch. Proficiency in all four stitches is highly recommended. Kits will be available for purchase on day of class. “X Marks the Spot” Necklace -- Class is full! There’s nothing like a good old treasure hunt and this one will lead you to a stunning necklace and earrings set! The unique X structure is built using 3-D beading techniques that utilize herringbone stitch, peyote stitch, and right-angle weave. The elegant neck strap is comprised of herringbone and chenille stitch. Workshop instructions cover construction of both the necklace and the earrings. Proficiency in herringbone, peyote, right-angle weave and chenille is highly recommended. 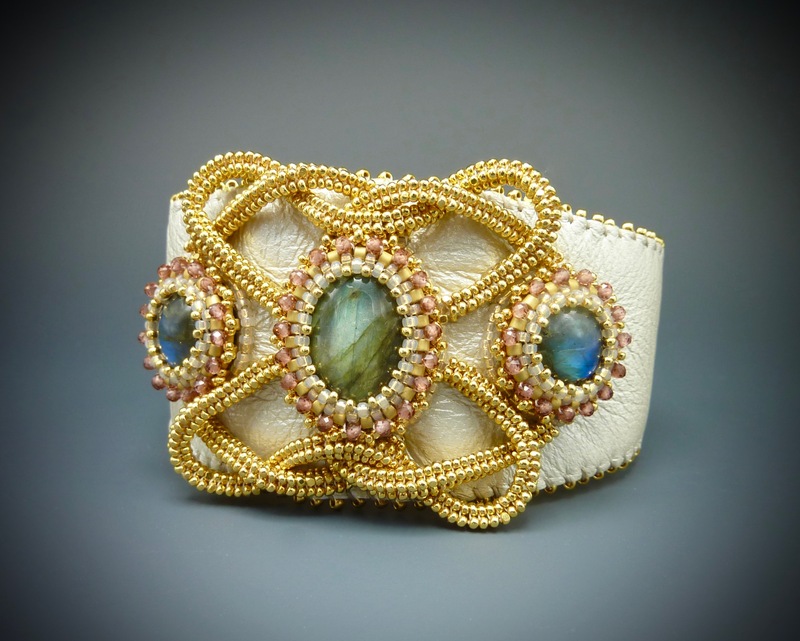 Celtic Knot Embroidered Cuff Bracelet--Class is full! The elegance and symmetry of Celtic knotwork design is captured in a 3-D fashion in this lovely leather cuff bracelet. Delicate precious metal plated charlottes, beautiful stone cabochons and facetted gemstone beads capture the rich aesthetic of medieval era jewelry. Techniques include herringbone stitch, peyote stitch and bead embroidery on leather. Proficiency in herringbone and peyote stitches is highly recommended. 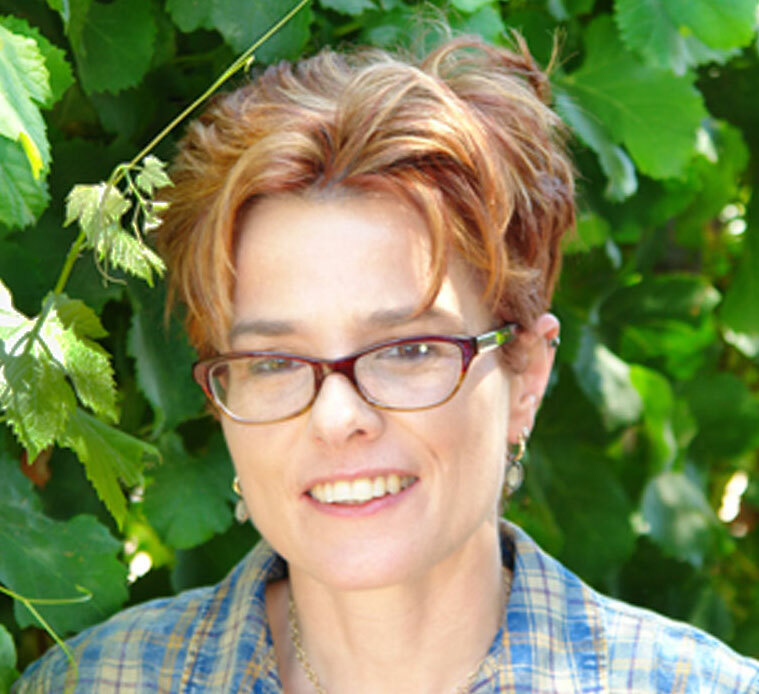 About Our Teacher Laura McCabe . . .
Laura primarily is a self-taught beadweaver, with an education in historical costume reproduction and restoration and anthropology. 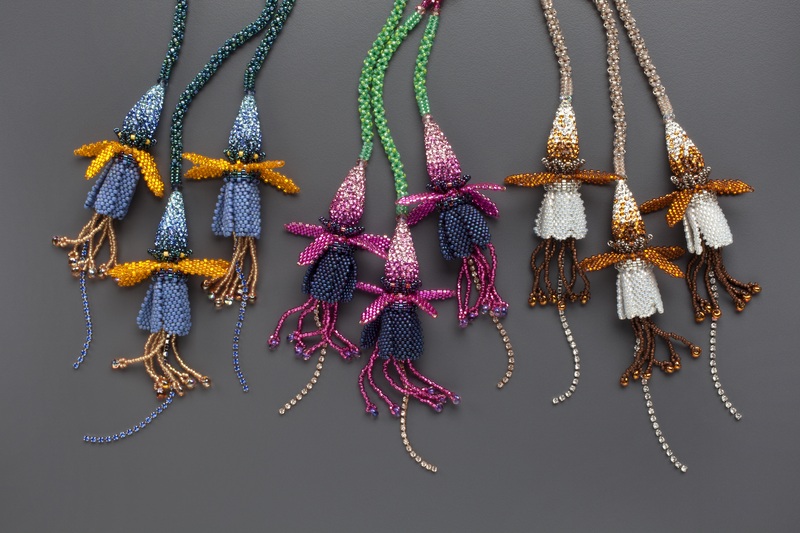 She produces elaborately beaded body adornment and sculpture that combines Native American, African, and Victorian beadweaving techniques with modern materials and color schemes. 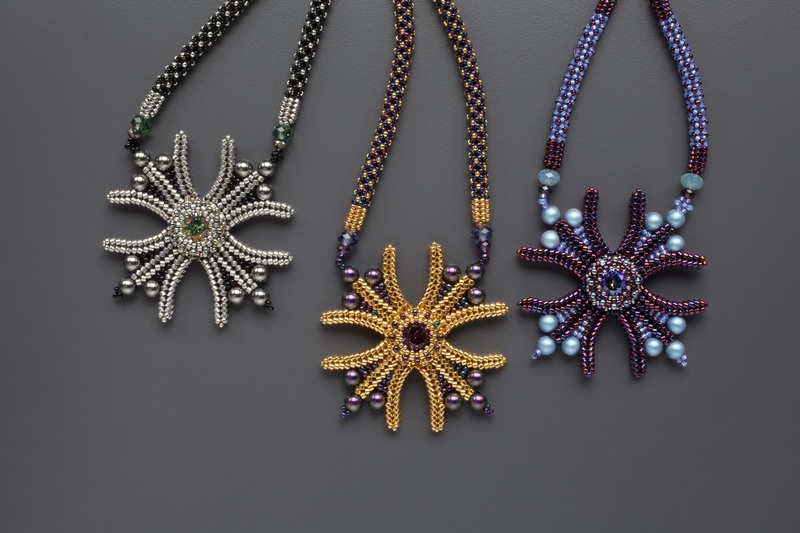 She started Just Let Me Bead in 1995, at which time she sold her original designs to boutiques and museum shops. In 2002, she began teaching her art and has continued to do so across the US and throughout the world. She exhibits her work in national and international beadwork exhibitions and continues to sell some of her finished work on line. She maintains a private studio in Hampton, Connecticut where she, her husband Michael and a dog named Lucy continue to live the creative life. Questions? Want to be notified when project information is available? Send Beadventures an email by clicking here!